This post isn't exactly kid friendly but I truly believe that if you don't take a break some time away from the kids and the chaos you will lose your mind! So I got to thinking about Valentine's day and how much fun it would be to have some romantic time together with your own Valentine! 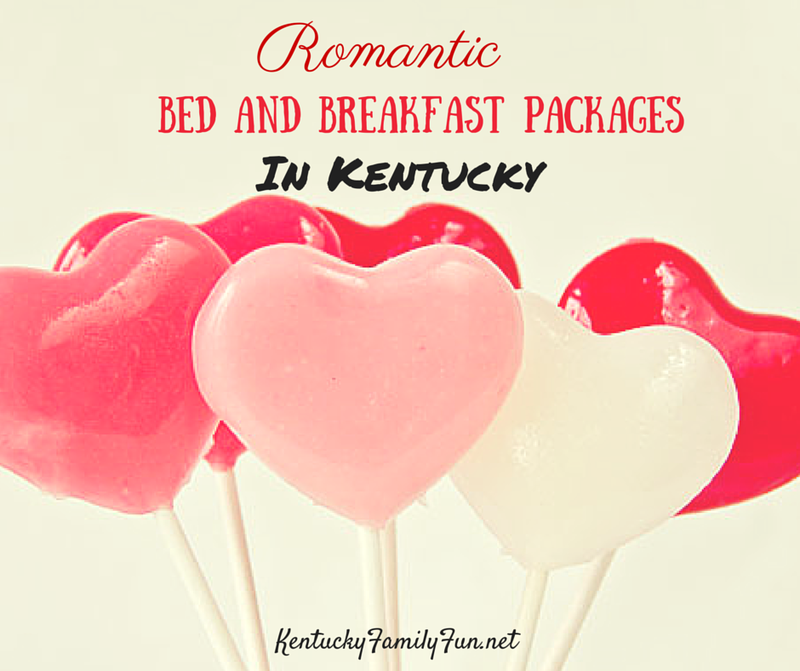 Listed are some Bed and Breakfast Specials from around Kentucky. You will be glad that you took some time away! Go ahead print this out and leave it around your house for your Valentine to find. Bluegrass Country Estate -offers you and your Valentine a bottle of wine or champagne, flowers and chocolates in your room, use of all our luxury amenities, and a gourmet breakfast for 2. A private dinner option is also available at an additional cost when making reservations. 1851 Historic Maple Hill Manor B&B and Alpaca and Llama Farm - This package includes one dozen roses of the color of your choice, arranged and waiting for you on arrival with a customized card expressing your true feelings. You also receive a $50 gift certificate to dine at your choice of fine area restaurants. This package also includes champagne, wine or sparkling beverage and An Enchanted Evening game of romance designed to spark love and laughter. Guests also experience the inns award-winning full country gourmet breakfast, served at their own private dining room table. Package Price: $159 added to any room of your choice. Room rates begin at $159. 1898 Red Bud Bed and Breakfast -A bud vase of three roses and your choice of a box of locally made chocolates OR hand dipped chocolate covered strawberries will be delivered to your room and waiting for that special someone when you arrive . Enjoy a late check out and a leisurely homemade gourmet breakfast the next morning. $110.00 Requires two day advance booking. Bourbon Manor - Valentine’s packages and romantic touches, such as champagne, chocolate-dipped strawberries, bourbon chocolates, two dozen roses, a romance game and many more add-ons are available. Visit the website to view rooms and rates. The Inn at Shaker Village -Escape with your loved one to the countryside and this peaceful village for a romantic interlude that includes one-night’s accommodations, breakfast in the Trustees’ Office Dining Room, 10 percent off purchases in the Village shops and complimentary tour admission to see the largest restored Shaker Village in America. Package available Feb. 14 and 15. Rates begin at $139/room. Beaumont Inn - With 48 hours’ notice, this Southern-style inn known for its hospitality and culinary treats, can arrange to have any of the following awaiting you in your room: chocolate-covered strawberries, floral bouquet, a dozen roses, fresh fruit and Kentucky cheese plate, a bottle of wine or house sparkling white wine or a fruit, Kentucky cheese and charcuterie plate. Tucker House Bed and Breakfast - Book a room for you and your sweetie for Valentine's weekend, add to the romance with a dozen roses, chocolates, a special dessert, a special beverage, a massage, and many other possibilities. Riverside Inn Bed and Breakfast - We’ve pulled together just the right touches for making your getaway at Riverside Inn the most romantic, relaxing and rejuvenating experience for just the two of you. Add these items onto your reservation (one week notice required) and turn ‘this is great’ into ‘I can’t believe you thought of everything! If your honey takes the hint let us know where you stayed!